No Situation is Hopeless when Mary Steps In! 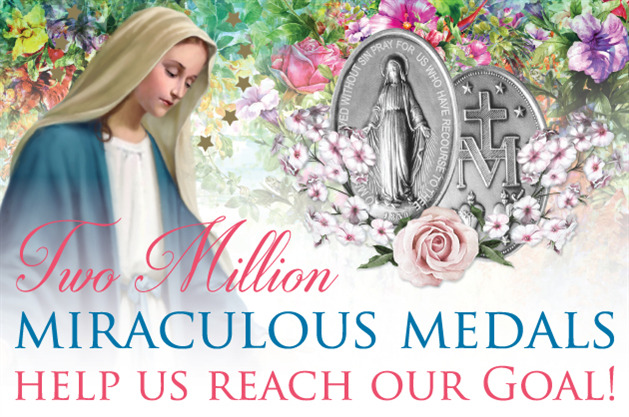 Join Our Miraculous Medal Novena! When our Blessed Mother appeared to young Catherine Labouré in 1830, she foretold the evil and sorrow of the revolutions of 1830 and 1832 in France. The situation back then seemed hopeless, just as it does for so many today. But no situation is hopeless when Mary, the Mother of Jesus, steps in! 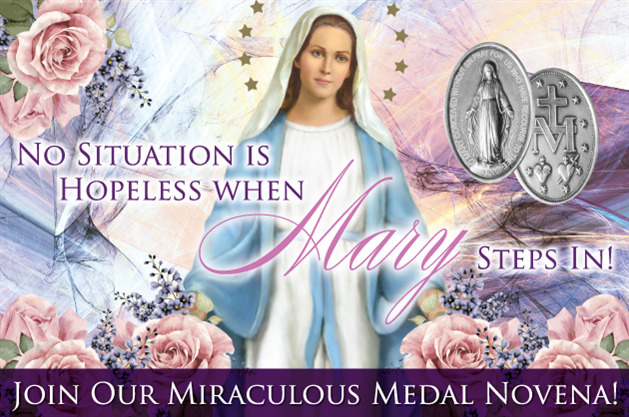 She gave us the Miraculous Medal which has brought us hope in times of despair. The Association here in Perryville, Missouri, continues Mary’s mission of hope by bringing people to Jesus through Our Lady of the Miraculous Medal. Allow the Association to pray with you. Send your petitions for remembrance in our annual Miraculous Medal Novena, November 18-26, and request Votive Lights to burn. Read Fr. Kevin’s letter about how Mary is waiting to hear from you. To help you remember to pray and ask for God’s graces, request your 15-month Miraculous Medal Planner for 2019-2020. As you write your own scheduled dates and events, it will remind you that Mary brings Jesus to you every day of your life!